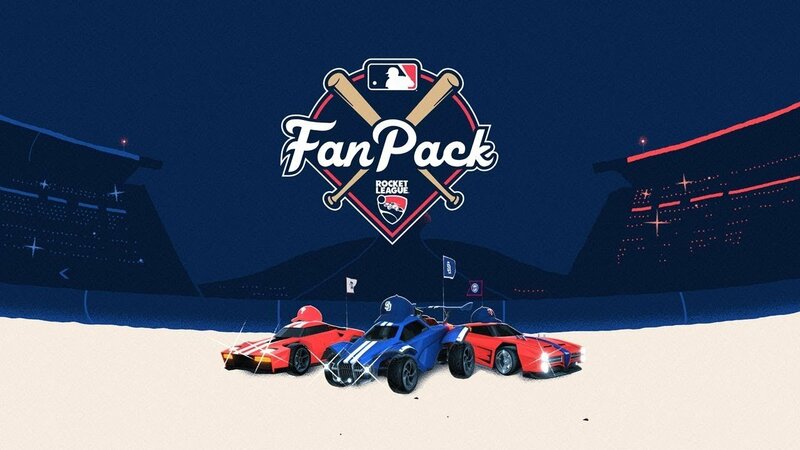 Rocket League players can get their hands on the MLB Fan Pack DLC soon, with plenty of baseball-related goodies on offer. The MLB Fan Pack is headed to Rocket League, bringing plenty of baseball-themed goodness to players ahead of the big Opening Day. Beginning on March 25, you can grab some of your favorite Major League Baseball-themed items with new licensed DLC in Rocket League meant to help you celebrate the 2019 MLB season the way you know you want to: slamming a soccer ball around with vehicles, as you were always meant to. There'll be a wide variety of items at your disposal: baseball cap toppers, flags, and player banners for all 30 MLB teams, as well as a Baseball Rocket Boost, an MLB-branded flag, and a player banner as well. There's a wide selection of gear that can be seen in the official trailer, and the official Rocket League MLB Fan Pack page features one of the items you can pick up as well. The MLB Fan Pack is coming to all platforms in all regions for $2.99. When it drops, you can choose your favorite customization items and wow the other team. With Rocket League cross-play available on all platforms, it's a great time to show your love for your fave baseball outfit, as you can play together across PlayStation 4, Xbox One, Nintendo Switch, and Steam for matchmaking that'll let you show even your buds on other platforms what you're made of. And we know they can't take you, right? There's a lot of different stuff you can opt to customize your rocket cars with in Rocket League, but these are the latest in a long line of cool items, including Mario goodies for Switch players, Rick and Morty, Hot Wheels, and a ton of other fun novelty items that are up for grabs. For now, have a look at the MLB Fan Pack trailer and let us know what most catches your eye. We'll be trying to figure out how to best kit out our cars, too.